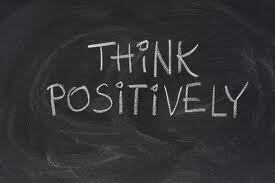 Positive thinking is based on the belief that we will get what we want and by taking action we’re in the process of fulfilling our dreams, destiny, goals or success. The words are interchangeable but the destination is the same. We’ve all heard of the term ‘self-fulfilling prophecy’; it means believing that results will come to us when we fashion our lives according to our personal beliefs. This comes with a warning; our results positive or negative depending on what we think. To quote James Allen: Dream lofty dreams, and as you dream, so you shall become. Your vision is the promise of what you shall one day be; your ideal is the prophecy of what you shall at last unveil. We can make something positive happen today when we’re prepared to open the door to the opportunities that will make us happy and lead us to fulfillment and success. This entry was posted on September 10, 2012 at 6:35 pm and is filed under Law of attraction, Success, Success through action. You can follow any responses to this entry through the RSS 2.0 feed. You can leave a response, or trackback from your own site. Thanks Kristen, I really appreciate hearing from people who enjoy the blog. My writing is my sanity balance in a busy and stressful life and helps me work towards what I really want to achieve in life. Thanks for stopping by!